Yesterday, the theme of Bailey Kusar’s #onefintechjob meetup was “Money and Mental Health”. Three speakers gave their perspectives on the challenges that people with mental health problems face when dealing with their finances. Polly McKenzie, from the Money and Mental Health Policy Institute, pointed out that one in four people experience mental health issues at some point in their life. People in poor mental health have a higher chance of getting into trouble with their finances, engaging in behaviour they regret later. This can range from compulsive spending on e-commerce or ignoring bills, through to more permanent decisions such as taking out a personal loan or emptying out a savings account and giving it away to charity. Polly called for financial services firms to add “friction” where appropriate, for example not processing large withdrawals in the middle of the night. Following closely on from Polly’s talk, Emanuel Andjelic talked about Squirrel, a product that helps to avoid the temptation to spend. Emanuel picked up on “jam-jarring” from Polly’s talk, the idea that if you lock your money away in specific pots, you are less likely to raid it. Squirrel takes money directly from your employer and puts it towards savings goals you set. This simple mechanism of reducing the amount of money that people receive, rather than trying to persuade them to part with it later, means they are more likely to meet their goals. Aneesh Varma talked about “credit scoring for humanity”. His company Aire is aiming to build a credit scoring system that has the same capability as a human interviewer to judge whether someone is a good or bad credit risk. This will help bring credit-based products to many people who are currently passed over. As a self-employed immigrant who has changed jobs many times, Aneesh is very familiar with the problems of not fitting into the cookie cutter. Speaking to various people afterwards, there was definitely a sense that many people are working in fintech to help consumers have a better relationship with finance, whatever their level of mental health. You don’t need to have a diagnosed mental health problem to engage in compulsive e-commerce spending and leave unopened utility bills on the kitchen counter. Many people (myself included) have felt the urge to splurge when our rational selves know that the urge to save would be a better long-term decision. We created PensionBee to help people take control of their money and save for their future. 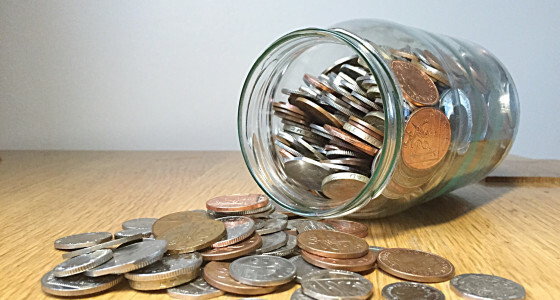 In many ways, a pension is the ultimate “jam jar” - once the money has gone in, it’s usually many years before you can get it out, which gives it a meaningful amount of time to grow. And what many don’t realise is that for every £1 you put in, the Government gives you (at least) 25p extra because of pension tax relief. We’re excited about changing the perception of pensions away from something that happens to old people. It makes a lot of sense to save throughout your life in preparation for when your income drops in later life, and even if it’s only small amounts, the earlier you start the better. It’s also exciting to know that we’re part of a vibrant community of companies who similarly feel that the established institutions have failed the consumer and it’s time for something new. Set up a PensionBee account and get your pension saving sorted. We’ll transfer your pensions in a 21st century online pension plan so you’ll be in control.